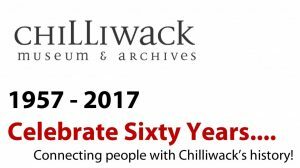 2017 marks the 60th Anniversary of the Chilliwack Museum and Historical Society. To honour the occasion, I asked Merlin Bunt, Society Trustee and author of the popular Chilliwack History Perspectives page, to prepare an article, telling the Museum’s story. 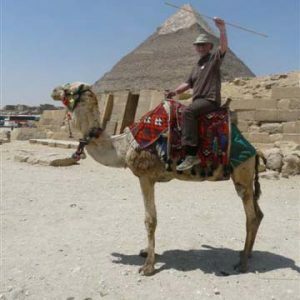 Merlin took up the task with wit and enthusiasm, and poured over Society records from the Archives and other historical sources, composing this account. The Chilliwack Museum and Archives exist to connect people to our community’s history. Calling to remembrance the significant role of this organization, and the people who established it, is part of Chilliwack’s unfolding story. Although the Township of Chilliwhack (spelled with an extra “h”, as opposed to the spelling for the City – incorporated in 1908 – which did not have the second “h”) was incorporated in 1873, it would not be until 84 years later, in 1957, that the district would establish its first dedicated museum. Notwithstanding what would appear to have been a low civic priority, there was in fact much early interest in recognizing and preserving Chilliwack’s history. At the turn of the 20th century, formal steps were taken to establish the forerunner to today’s Chilliwack Museum and Historical Society, and the resulting new community organization would be actively strengthened and expanded during the following years. 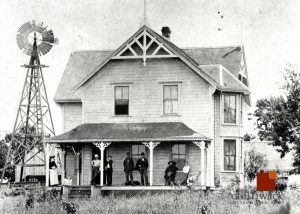 On May 1, 1902, a group of Chilliwack’s founding citizens met at the home of Jonathan Reece (1832-1904) for a surprise party in recognition of his 70th birthday. Also on the agenda that evening was creation of a formal body to organize, administer, preserve, and promote Chilliwack’s history up to that point, and thereafter for ensuing generations. As Reece had been the first person to pre-empt land in the Chilliwack Valley (back in 1859), it was deemed appropriate that the founding of the “Chilliwack Pioneer Society” should be formalized at his house. 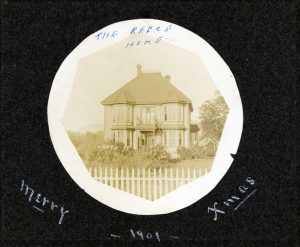 Invitations for the event had been sent out to Chilliwack’s pioneers who met the following criteria: at least 25 years’ residence in the community, and significant contribution to its early development. The guest list of 33 attendees for Reece’s surprise party (23 men and 10 women) was a “who’s who” of Chilliwack’s founding citizens (as well as a source for the names of many of the community’s future streets), and included Messrs. and/or Mesdames Kipp, Chadsey, Reece, Nowell, Vedder, Ryder, McCutcheon, Wells, Evans, Webb, Nelmes, Ashwell, Lewis, McDonald, Stevenson, Gillanders, McDonald, and Harrison. This group had collectively laid the foundations for the community of Chilliwack, and its aim was to take steps to preserve the memories and experiences that they dearly held. The group of Chilliwack citizens gathered that evening at Reece’s home was generally well read and educated, forward thinking, and thoughtful. In a released statement, they insightfully observed that “the first settlement of a community is always a matter of interest to later residents, and this history becomes increasingly valuable as it comes to belong to a remoter past. But, if the facts are not made matters of record while the original actors are still upon the scene, they fade away into dim tradition, becoming distorted, and are finally lost.” One of the attendees that memorable evening in 1902 was Sardis pioneer Horatio Webb (1852-1936), considered to be Chilliwack’s first historian. 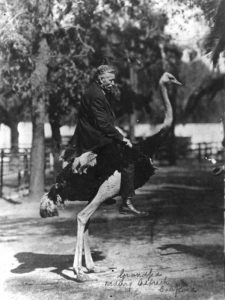 Horatio Webb, riding an ostrich. Webb was one of the main organizers of that fateful 70th birthday party for his long-time friend Jonathan Reece, and he was the driving force behind the founding of the Chilliwack Pioneer Society. His historical writings and photographs of the district’s pioneer era ultimately formed an integral part of Chilliwack’s first museum. The founding members of the Chilliwack Pioneer Society set about to gather and put on paper all memories, artifacts, experiences etc., essentially forming the basis of Chilliwack’s first Museum and Archives, with membership fees fixed at $1 per year. Less than one year later, the entity’s name had officially been changed to the Chilliwack Pioneer and Historical Society (CPHS). The inaugural banquet for the new group was held in February 1903 at the Harrison House Hotel, on Wellington Avenue at Corbould Street. It was hosted by Matilda Harrison, and approximately 50 members attended the event. 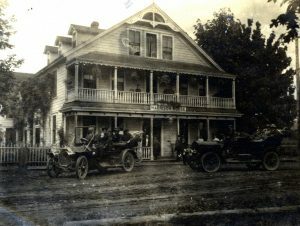 The Harrison House Hotel, on Wellington Avenue, at Corbould. 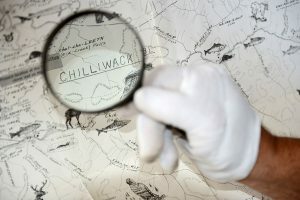 In the following decades, although there was much written and collected, there was still no formal ‘home’ for the physical aspects of Chilliwack’s history – no actual museum, with much of the CPHS’s collection residing in members’ homes. In 1941, a group of second and third generation members of the district’s original pioneer families gathered to discuss how to advance the CPHS. 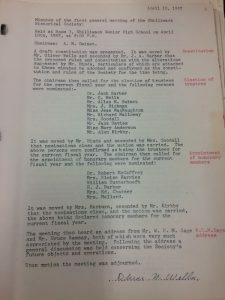 A number of meetings were held, but due to World War Two being well underway, and the always-present funding constraints, little transpired as a result of these sessions. However, 15 years later, with the War long over, and the 1958 centennial anniversary of BC becoming a crown colony drawing nearer, there was again significant interest in Chilliwack’s history. 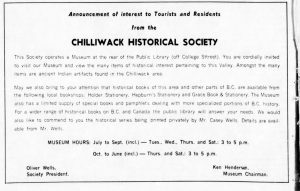 On November 9, 1956, at a well-attended meeting at City Hall, it was agreed to immediately start the formation of the Chilliwack Historical Society (the successor to the essentially stagnant CPHS). At this time, there was still no obvious location to establish a museum, and financing such a venture continued to be a hurdle. Ultimately, it would take a ‘partnership’ with City Council and the city’s police force to make Chilliwack’s first museum a reality. From the time Chilliwack’s City Hall opened in 1912, its police station (and jail) had resided in the iconic civic structure on Spadina Avenue, between Main Street and Yale Road West. However, as the City’s robust growth during the 1950s progressed, there were mounting space limitations within the building, and consequently plans were made for the police station to relocate to its own dedicated headquarters. In 1956, a location for Chilliwack’s new police station was identified. It was to be the city-owned ex-B&K Economy Store supermarket building on Nowell Street, at Victoria Avenue, located behind today’s Auld-Phillips store. Before work even started on converting the old B&K space, there was talk of establishing Chilliwack’s first museum in the new police station structure, as it was evident early on that the police would have more space than they needed when their new home opened. 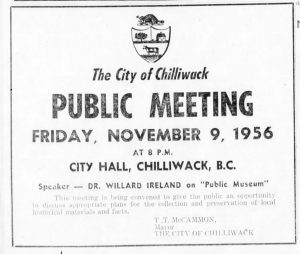 At the November 9, 1956, meeting at City Hall, after a presentation by the provincial archivist and curator of the Provincial Museum of British Columbia, it was decided to move ahead with plans to establish Chilliwack’s first museum, and it was confirmed that it would be located in Chilliwack’s new downtown police station. 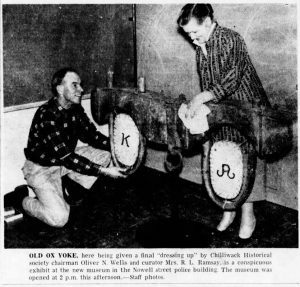 On January 30, 1957, the contract for converting the old B&K store into the city’s new police station (and ultimately the home of its first museum) was let, and less than three months later, on April 12, 1957, the new police station opened. Although Chilliwack’s first museum would not open its doors in its new premises until the following year, dedicated space had been set aside for it, and there was much underway behind the scenes in advance of its centennial year opening, as the Chilliwack Historical Society’s members were in the process of learning how to operate a museum. On April 10, 1957, Allan Guinet chaired the first meeting of the Chilliwack Historical Society (the Society). 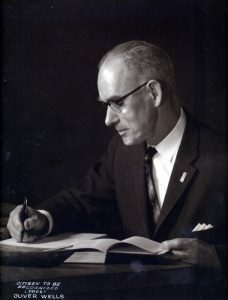 Later that year, on September 19, 1957, Oliver Wells was elected as its chairman, a position he would hold for the next 13 years. The founders of the new historical society had deep roots in the community, and they provided the Museum with the foundation of its collection, including biographies of early settlers, interviews with First Nations elders, and oral histories from a wide variety of citizens. Finally, after much preparation and anticipation, Chilliwack’s new Museum was officially opened on March 19, 1958. The first two visitors through the doors were daughters of two of Chilliwack’s best known pioneers, Isaac Kipp and Jonathan Reece. The Museum’s initial hours of operation were only from 3:00 p.m. to 5:00 p.m. each weekday. Most of the opening collection was on loan, but the Museum had been making significant progress on accumulating donated items. During its first year of operation, the Museum drew 2,570 visitors, and was generally well received by the citizens of Chilliwack. One of its stated goals was to educate younger generations on the value of the community’s past, and thus school classes would visit the Museum where they could see and research material for their school projects. However, the combination of the police force’s increasing need for more space, the Museum’s steadily expanding collection, and growing financial pressure on properly operating the new civic institution resulted in a crisis situation by early 1960. On January 18, 1960, the Society addressed City Council and advised that the Museum needed to be relocated, and that the whole operation should immediately be reviewed. Further, the Society indicated that a body such as itself was not properly suited to operate a venture such as the Museum, and that it wished to transfer responsibility for its operations and funding to the City and Township. In mid-July, talks between the Society and the two municipal councils resulted in an agreement that the Museum would remain open, on a restricted basis, until the end of 1960. To cut costs, the Museum’s hours were significantly curtailed, open only eight hours per week during the summer, and four hours per week for the rest of the year, except for December 1960, when it would be closed completely. Nevertheless, despite the restricted hours, over 2,000 people visited the Museum during 1960. In October 1961, the Museum was given notice by the police that it would soon have to vacate its space in the police station on Nowell Street, as it was urgently needed for police and judicial business. It was at that time the first suggestion was made that a museum room could be included in the upcoming expansion of Chilliwack’s library at the corner of Wellington Avenue and College Street. In the following months, discussions regarding relocation of the Museum to the library were stepped up. The Society stated that if no viable plans were in place by January 1, 1962, the Museum’s collection would have to be placed in storage, if not some temporary quarters. An extension built at the Chilliwack Library served as the second home of the Museum. On February 5, 1962, City Council officially approved the library expansion/new Museum room, on the basis of sharing capital costs equally with the Township. The L-shaped extension to the library would have the Museum room facing College Street. Soon the Museum vacated its existing police station space, and between March and November it did not operate, with its exhibits stored in the Township Hall on Young Road South. Work on the library extension started in early June 1962. On November 8, 1962, with council members and the public in attendance, Chilliwack’s Museum reopened in its new home alongside the library. The room allotted to the Museum was bigger than its previous space at the police station, but less than what the Society had been seeking. The opening exhibits concentrated on pioneer life in early Chilliwack, ancient First Nations artifacts (including approximately 100 items unearthed earlier that year on the grounds of Little Mountain School), and exhibits depicting the life of Chinese inhabitants, who had once been more prominent in the area. Amid the celebrations was concern of the implied indication that the Museum’s new space should be considered “temporary”, as it would likely be needed in the future for library expansion. By 1968, the Museum’s collection had grown significantly, and it was estimated that it needed twice the space it currently occupied at the library. To compound matters, at that time the library was indicating more and more its need to take over the Museum’s space sooner than later to accommodate its continuing growth. Thus, the Chilliwack Chamber of Commerce decided to work with the Society to identify a potential new home for the Museum, as well as new funding sources. In December 1968, as a result of a special inter-municipal committee’s recommendation, both councils indicated they were in favour of amalgamating the Chilliwack Museum with the Canadian Forces Base Chilliwack Military Museum at the historically significant “Atchelitz Park” site, near Lickman Road, south of Highway 1. However, by July 1969, the initiative to relocate the Museum to Atchelitz Park had gradually fallen out of favour due to access considerations that were raising concerns, along with the general feeling that the location was just too far from downtown Chilliwack. In the 1970s, the old Chilliwack Post Office was proposed as a potential solution to the space issue – providing home to the library, making room for the museum there in the mid-1970s, but did not come to fruition. In mid-1970, it was suggested that the library relocate to the old brick post office, recently vacated just east of Five Corners, and that the current library become the permanent home of the Museum, as well as the Chamber of Commerce tourist information centre. However, reconditioning the old postal structure and other technical challenges made this proposal cost-prohibitive. The year 1971 would mark another centennial celebration for BC. Accordingly, in 1970, a total of 37 organizations in the Chilliwack area submitted suggestions for the district’s Centennial ‘71 project. At the top of the list, with approximately one third of the support, was a new dedicated home for the Museum, followed by new parkland and a new swimming pool. By September 1970, a new museum was still the favoured project, but the cost-sharing formula between the two municipalities for the $75,000 initiative could not be agreed upon. The following month, on October 31, 1970, Oliver Wells, the chairman of the Society’s trustees, tragically passed away several days after being in a car accident in Scotland. Until the time of his death, he had been the driving force behind securing a new home for Chilliwack’s Museum. Shortly thereafter, after months of wrangling, in November 1970, a new museum was approved as Chilliwack’s commemorative 1971 Centennial project, to be constructed “in the vicinity of Evergreen Hall”. 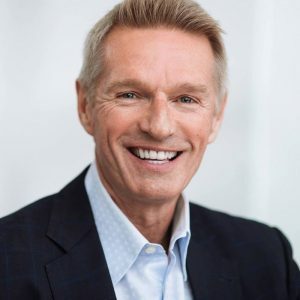 The untimely death of Oliver Wells was thought to have brought both sides together in achieving a funding agreement, to ultimately make his long-time vision a reality. By late October 1971, the new building was nearing completion, and on December 2, 1971, the Wells Centennial Museum, at 209 Corbould Street South, adjacent to Evergreen Hall, opened. A crowd of over 300 took in the festivities. Mrs. Oliver Wells unveiled a plaque which made reference to the contributions of the Wells family to the district of Chilliwack. The Museum would now be open Tuesday to Saturday, for longer hours, but still only for a total of 19 hours per week, later reduced to opening Fridays and Saturdays only, due to ongoing funding constraints. By 1977, the Museum was operating on a part-time basis (12 hours per week), and this was only possible due to an annual grant of $13,000 from the two municipal councils. These funds largely covered the museum building’s annual maintenance costs, as the workforce was on a volunteer basis. During the two decades prior to 1980, there had been much discussion, along with numerous studies and proposals, regarding the City of Chilliwack and the Township of Chilliwhack amalgamating to form one civic government/municipality. Towards the end of the 1970s, it appeared that most of the significant hurdles to the long-awaited initiative had finally been overcome. With amalgamation looking more likely, in January 1979, it was suggested that the City Hall building, which would soon no longer be used for that civic purpose, would be an ideal permanent location for the Museum, instead of the “temporary-permanent” location attached to Evergreen Hall that some speculated would eventually be needed by the Civic Properties and Recreation Commission for office or recreation activity. On June 16, 1979, voters of the district did in fact approve a referendum to amalgamate the two municipalities, and on January 1, 1980, the two civic jurisdictions, after being separate for 72 years, merged to form the District of Chilliwack. Almost immediately upon amalgamation, there was a formal move among heritage enthusiasts to have Chilliwack’s first City Hall repurposed as Chilliwack’s Museum. To add momentum to the cause, shortly after the amalgamation, the iconic structure was designated as Heritage Site #1 by Chilliwack’s Heritage Advisory Committee. In the latter part of 1980, the new Chilliwack District Council commissioned a study to address the viability of the initiative. 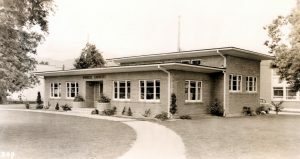 In March 1981, the Chilliwack Valley Historical Society changed its name to the Chilliwack Museum and Historical Society, to emphasize that the Society was responsible for operating the Wells Centennial Museum (including the Archives), and to facilitate proposed plans to relocate the Museum to the old City Hall. By the summer of 1981, with all City staff having finally relocated to the District Hall on Young Road South, and the first City Hall now vacant, the opportunity took on an even higher profile. However, it would be a considerable time before actual steps commenced to convert the old City Hall to the city’s Museum. In 1984, preliminary architectural plans were prepared for the transition of the empty City Hall to a museum. In March 1985, Chilliwack District Council formally committed $500,000 towards upgrading the first City Hall as part of the transformation process. In November of that year, the Society also received a $236,000 grant from the federal government towards renovation of the Museum’s future home. 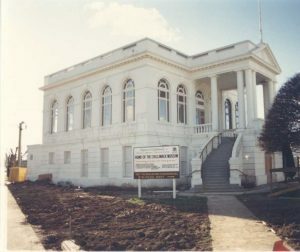 During the rehabilitation process, moving the Museum into the historic Chilliwack City Hall building, 1985 – 1986. Essentially the building was gutted, with the only space restored to its original 1912 condition being the council chambers on the second floor. Also that same year, the structure was named as one of the 25 prominent heritage locations in Canada. As work got underway, it was felt that Chilliwack’s new museum would be open to the public by May 1986, but this timing would prove to be overly optimistic. One year later, on March 21, 1987, the Chilliwack Museum was officially opened in the first City Hall. Approximately 1,000 people attended the opening ceremonies, including Chilliwack’s MP, MLA, Mayor, and other dignitaries. The Museum’s new home, having officially been declared a historic site, received its National Historic Sites plaque from the Historic Sites and Monument Board of Canada, and the plaque was unveiled during the opening ceremonies, placed just to the left of the Museum’s lower front entrance. Many people have contributed to the legacy, including dedicated community volunteers and hard-working Museums professionals. While the list would be far too long to even attempt to list them all, in addition to those already mentioned, we should not fail to acknowledge the impact made in more recent years by long-serving leaders, notably Ron Denman, who served as Director from 1985-2015. Other Board Members, Staff, and legions of dedicated community volunteers have sustained the Museum and Archives programs and services over the years. Today the Chilliwack Museum and Historical Society operates the city’s Museum from one of Canada’s distinctive buildings, and Chilliwack’s only National Historic Site, while its previous location, adjacent to Evergreen Hall, is now the spacious home of the Chilliwack Archives. A quote from the BC Archives well sums up the vision and mandate of the Society: “Without archives, there would be no record of our past, no understanding of where we are today, and no way of looking ahead to tomorrow”. During much of the 1900s, Chilliwack’s Museum and Archives existed as an aspirational concept, before finally getting its first home in 1957. However, the strong resolve to recognize and preserve Chilliwack’s history goes back far beyond that time and event, when Chilliwack’s early pioneers met to lay the groundwork for what is now, over a century later, a proud civic institution. The lack of funding for the Museum throughout the decades was a constant and limiting factor, but there was never a shortage of passion, vision, and commitment among Chilliwack’s interested citizens. 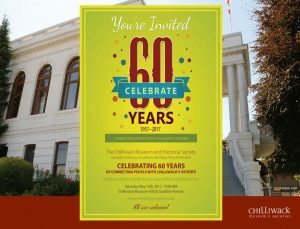 This year marks the 60th anniversary of the establishment of both Chilliwack’s first Museum and the Chilliwack Museum and Historical Society, and this milestone will be marked accordingly. (It also happens to be the 30th anniversary of the Museum relocating to its permanent home in the first City Hall). On Saturday, May 13, 2017, the Society is officially commemorating the Museum’s diamond anniversary with a number of events, observations, and celebrations. Come celebrate with us! 60th Birthday Party – Saturday May 13th @ 10am. Everyone’s invited! 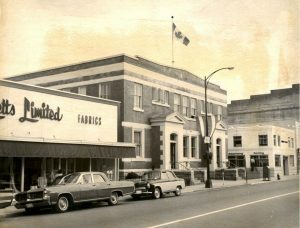 Chilliwack’s citizens are encouraged to take in some of the festivities, including a tour of the Museum on Spadina Avenue; not only is it Chilliwack’s showcase structure, with timeless design and beauty, it is also a nationally recognized venue, home to the essence of Chilliwack’s history. The city’s pioneers who gathered that May evening back in 1902 would be pleased to know that today many of their portraits grace the walls of a museum home they could not possibly have envisioned at the time. Undoubtedly, they would also be very proud of the Chilliwack Museum and Historic Society, and its role in making their vision for the preservation and presentation of the area’s history come to pass in ways that continue to exceed their original expectations. The Trustees of the Chilliwack Museum and Historical Society are pleased to announce the appointment of Vivian Walker, a Life Member of the Society, as its newest Board Member. The Board may appoint members of the Society in good standing as Trustees to contribute to the work of the organization, or they may be elected by the membership at its Annual General Meeting. The Museum has come a long way since its permanent collection was assembled in 1958, when the first Chilliwack Museum opened in a room in the local police station. The founders of the historical society had deep roots in the community. Brothers Oliver Wells and Casey Wells were the grandsons of A.C. Wells who settled on a farm in Sardis in 1865. As amateur historians and anthropologists they left us with our foundation collection, biographies of early settlers, interviews with Sto:lo elders, oral histories from a wide variety of people and much more. Vivian Evans Walker was born in Chilliwack and grew up as the 5th generation to live on the Evans Farm off Yale Road West. She was surrounded by history, from the old Evans log cabin (thought to be built by Royal Engineers in the early 1860s) to the 1888 horse barn, to routinely finding arrowheads as a child while walking the back part of the farm along Atchelitz Creek. Her father, John Evans, was one of the early leaders in the Historical Society’s quest to build a Museum in Chilliwack, working alongside the Wells Brothers. Vivian’s keen interest in learning about local history, however, was spurred by the locally-developed history course “GB11,” taught by Birch van Horne at Chilliwack Senior in the early 1970s. 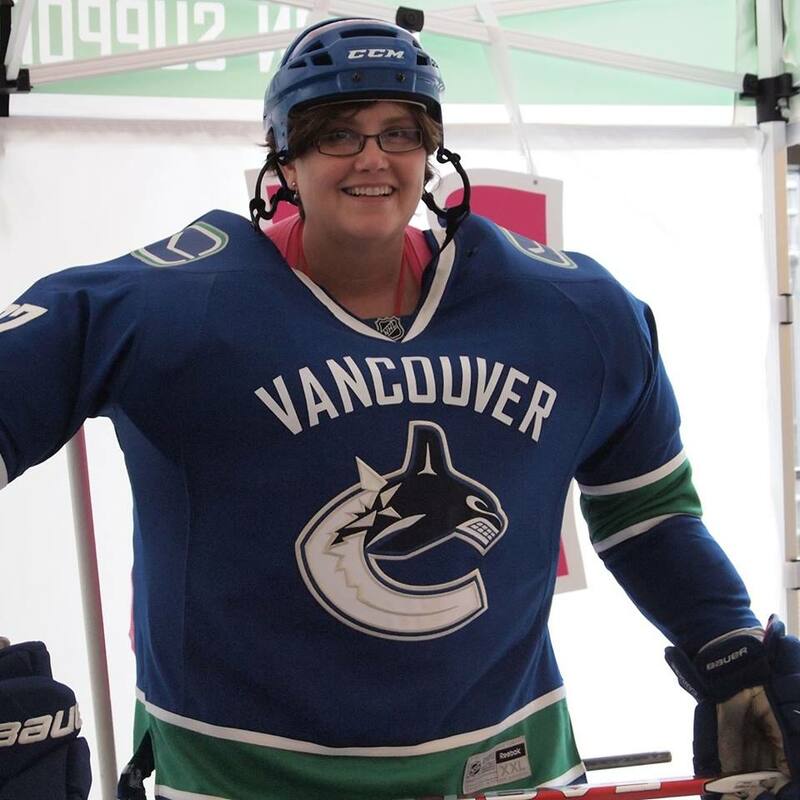 Vivian Walker, shown supporting the good ole’ Vancouver Canucks, is the newest addition to the Chilliwack Museum & Historical Societies Board of Trustees. She is a real “champion” of local history! After graduating from UBC, Vivian and her husband Tom lived in many parts of North America and are happy to back in the Lower Mainland. Their two sons, alas, live in Waterloo and Montreal. 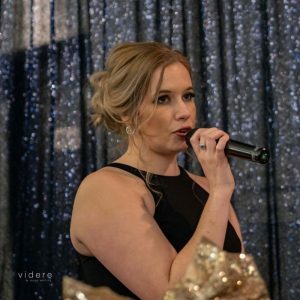 After a career spent as a library technician, she now works full-time for the Vancouver Public Library Foundation in fundraising and is completing her Associate Certificate in Fundraising Management at BCIT. Vivian is a champion of Chilliwack’s history, and a strong a supporter of heritage education. The Museum & Archives is delighted to welcome her service to our community.